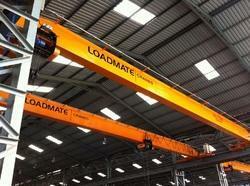 Whether you need to lift 250 Kg or 100 Ton, LOADMATE can offer a crane to meet your individual requirements. Our range of EOT cranes includes Single Girder EOT Cranes, Double Girder EOT Cranes, Under Slung EOT Cranes and Light Weight Cranes. Manufacturer & Exporter of a wide range of products which include Industrial Cranes such as Double Girder E.O.T. 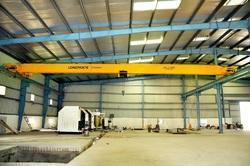 Cranes, H.O.T Cranes, Goliath Cranes and Single Girder E.O.T Cranes. We are majorly looking for local queries. Our organization has gained immense accolades in providing Single Girder EOT Crane to our clients from all over the country. It operates in highly efficient manner and makes use of various fixing arrangements in quite an effective manner. Single Girder EOT Crane has been manufactured in synchronization with latest industry standards and this is constructed with the use of best grade material purchased from our topmost market vendors. It is provided at market leading rates to our clients from all over the country. Owing to our rich industry experience and by use of latest technology we are providing Heavy Duty Gantry Crane to our clients. These are exceptional for their high load bearing capacity and can withstand tough working conditions quite easily. These products have ability to bear any type of load and are based on latest mechanism as well. These products are completely tested at our end on well defined industry norms before being made available for sale in the market. To add on, we are committed to timely delivery of our range. Our organization has gained immense accolades in providing Traveling Cranes to our clients from all over the country. It operates in highly efficient manner and makes use of various fixing arrangements in quite effective manner. Traveling Cranes has been manufactured in synchronization with latest industry standards and this is constructed with use of best grade material purchased from our topmost market vendors. It is provided at market leading rates to our clients from all over the country. 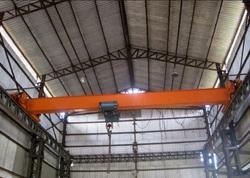 We are instrumental in offering our clients Industrial EOT crane that are highly used in harbors and warehouses. 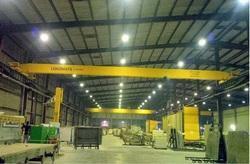 We are instrumental in offering our clients Industrial EOT crane that are highly used in harbors and warehouses. These cranes are appreciated for their attributes like easy installation, light weight and simple structure. Our Industrial EOT crane are appreciated for their attributes like easy installation, light weight and simple structure. We offer these cranes in single and double main gantry cranes. These cranes find high applications in handling and conveying equipment in mills, mines, harbors and enterprise stations. 'Loadmate' Industrial EOT crane is available in various capacities ranging from 1 to 100 tons and are used to lift cartons & machinery in loading areas, warehouses & machine shops. One can use and install our products easily without using any external force. We offer these cranes in single and double main Industrial EOT crane. These cranes find high applications in handling and conveying equipment in mills, mines, harbors and enterprise stations. Single Beam EOT Crane. We are prominent manufacturer and supplier of high quality Overhead Single Beam EOT Crane that can be delivered as per the needs of clients. This machine is designed and developed in compliance with international standards using high grade components with the help of cutting edge technology. LOADMATE make Single Beam EOT Crane are designed & manufactured in accordance with IS: 3177 and IS: 4137 considering adequate factor of safety with respect to appropriate duty classifications.The structural parts of the Single Beam EOT Crane are designed in Accordance with IS: 807. 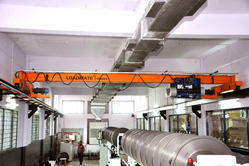 Loadmate also manufactures Single Beam EOT Crane as per international standards. Loadmate cranes are manufactured with standard components and controls to ensure reliability. Hugely demanded in medium and heavy duty industrial operations. Our Wire Rope Hoist Crane used in lifting and lowering large loads through a lift wheel or drum that is wrapped around by chain or rope. Made of Steel and/or fiber core these Electric Wire Ropes are in tandem with accepted industrial standards. We are having expertise in manufacturing and delivering high quality industrial EOT crane.We are engaged in offering EOT Crane that is known for optimum tolerance capacity, high tensile strength and robustness. Our EOT Crane are manufactured using high-grade material and technologically advanced machinery. EOT crane of Loadmate are highly appreciated for low maintenance, servicing cost, long working life and excellent performance. There is a long range of different crane suitable for every working requirement of clients spread nationally. 'Loadmate' EOT crane are tested and trusted brand for lifting in manufacturing and construction process. These products are manufactured using excellent quality raw material by employing latest machines and tools. With support of our industrious professionals we are producing Girder EOT Crane for our large customer base. It is made by use of latest engineering techniques and best grade material which is procured from our vendors of the market. 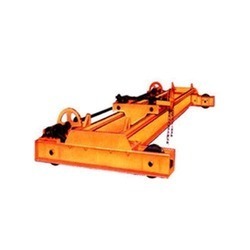 Girder EOT Crane is made in synchronization with latest technical standards of the market. It is applauded for its excellent functionality and long service life and we do proper checking of this product prior to delivering in the market for sale. Apart from this, we ensure time bound delivery of our range.